"Plot owners are affected, communities are affected, only schemers and profiteers earn." 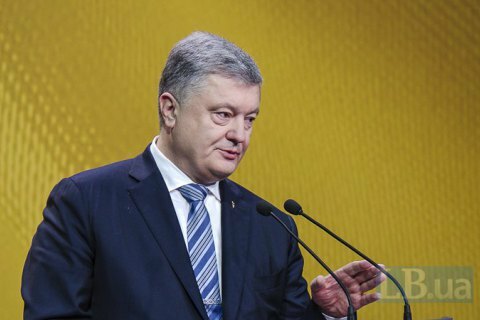 President Petro Poroshenko has said it is necessary to hold a land reform which would allow the sale of farmland. "I understand the sacred meaning of the word 'land' for every Ukrainian. Land is in heart. The words 'land' and 'sell' are incompatible. But! If someone believes that land is owned by the state, that is not true. Land has long been divided and owned by landowners. So what is the state function? To protect villagers. To protect them from fraud and sale of land for nothing. Does the state carry out this function? No" Poroshenko said at a community meeting in Zdolbuniv District of Rivne Region. In his opinion, the state does not deliver on its function and land is de facto a commodity. He suggested it was an unacceptable situation and suggested a public discussion on the land market. Ukraine introduced the ban on farmland sale in 2002 and has extended it repeatedly since then. The International Monetary Fund and leading Ukrainian economists insist the moratorium must be lifted. Earlier, President Poroshenko said he saw no chance this could be done soon.